An estimated 60 million Americans are dealing with acne right now, with severity ranging from mild to bad. Whereas mild acne is characterized by a few pimples here and there; bad acne is a pervasive skin condition, which will most likely lead to scarring. The good news is that although bad acne is a bigger problem it’s still treatable. You just need stronger treatments, equal to the challenge. “When applied to the skin, benzoyl peroxide works by reducing the amount of acne-causing bacteria,” explains WebMD.com. It also clears away dead skin cells, which unclogs pores and introduces oxygen into your skin. Benzoyl peroxide is very powerful, and it may cause side effects like peeling, itching, and irritation. Serious allergic reacts are unlikely. Dermatologists say you can safely apply benzoyl peroxide to your skin 2-3 times per day. Recent studies suggest that tea tree oil is a safe alternative to benzoyl peroxide. 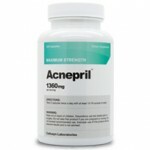 Its acne-fighting power comes from substances called terpenoids. They have antiseptic and antifungal properties, which allows them to keep pores clear and kill bacteria. In studies, people who used tea tree oil instead of benzoyl peroxide saw a reduction in acne and very few side effects. A likely explanation is tea tree oil’s ability to soothe and moisturize skin. In fact, it was used by Australian aboriginals to heal cuts and infections long before its acne-fighting abilities were discovered. “Topical salicylic acid is used to help clear and prevent pimples and skin blemishes in people who have acne,” according to the National Institute of Health. It works by causing cells to shed more easily, opening clogged pores, and neutralizing bacteria. Salicylic acid could potentially cause skin irritation and stinging. You can reduce these side effects by using the ingredient as directed by a product manufacturer or doctor. Sulfur is one of the oldest treatments for acne. It causes skin to dry and peel, which is actually very good for your skin because it reduces oiliness and it prevents pores from blocking. Besides the drying and peeling, sulfur could cause burning and skin irritation; but topical sulfur rarely causes serious problems. If your skin is already irritated, dry, or sunburned, wait until it has healed to apply sulfur. Azelaic acid treats acne “by killing the bacteria that infect pores and by decreasing the production of keratin, a natural substance that can lead to the development of acne,” explains the US National Library of Medicine. 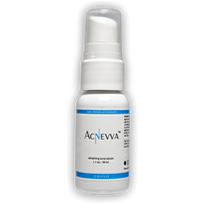 Itching, burning, stinging, and tingling are side effects you might experience while using azelaic acid. Benzoyl peroxide, tea tree oil, salicylic acid, sulfur, and azelaic acid. Five of the best treatments for bad acne. The only downside is the potential for side effects. Using these treatments as directed is one way to reduce side effects. Another way is to use these treatments along with Dimethylaminoethanol (DMAE). DMAE is an “antioxidant membrane stabilizer,” says Dr. Perricone. “When taken orally or applied topically, it helps firm, smoothe, and brighten skin.” DMAE doesn’t cause any side effects when used topically. In fact, it’s used in many acne products because it helps reduce side effects caused by other ingredients. Does Any Product Use All 6 Ingredients? Yes! All six of these ingredients can be found in one product, which–not by accident–is the top acne product on the market: Nanocleanse. To learn more about Nanocleanse, read this review. No acne problem is so big that there isn’t a treatment which will either reduce it or eliminate it. If you deal with bad acne, try any or all of these 6 treatments to see what they could do for your skin. If you decide to use Nanocleanse, the company guarantees results or your money back. Comments on "Erase Bad Acne with 6 Good Treatments"
Leave a Comment about Erase Bad Acne with 6 Good Treatments here. I really like this article because i my acne is terrible and its only getting worse but i also would like to know like how long you leave the baking soda on for and when you need to rinse it off or is that like a regular put it on then rinse or but it on leave it over night then wash off? ?